Something is not right with the wiring for these connectors. Every time I hit the brake my tail lights the bulbs come on the middle set but not the top. I am stuck. Sometimes if the ground is not really grounding, the electricity will seek out a ground of some sort, such as the other wires going through the bulbs. You may want to use a temporary jumper (alligator clip ends). Hook to the body and to the wire/metal/fixture for the bulbs ground. 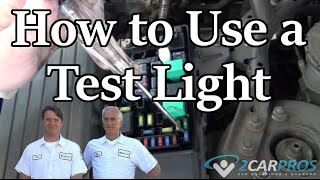 this may verify whether you need to find and reconnect the original ground/remove and clean corrosion or paint where it meets the car body. We still may be able to aid further. Do you have any pictures that show where the wires go? Found the correct diagram using your information. This is the "exterior lamps" wire diagram. In order to get this I had to make three screenshots, take them to Ms Paint to crop them out. Here is the deal, I insured they all overlapped. Diagram one is the top, diagram two is the middle, diagram three is the bottom. If you print them, you can slide them together until they overlap/ sync, then tape them. Any idea what the fuse/ wire controlled so that I might find the system it's in? Many diagrams for these new vehicles, sorted by system, such as AC/ Exterior lights/ etc./ Etc. Lots and lots of diagrams. Way too many for me to copy (screenshot) and send them all! Narrow it down to what system they are in, I'll try to get the diagram. Kinda busy tonight with the wifey. Takes a while to screenshot stuff and process it thru M.S Paint in order to post it so that it is big enough to read. Beings that they are from "Prodemand", I cannot just copy and paste them. Right now (below) are six shots. Let me know if these do anything for you, I'll attempt the others tomorrow. Diagram 1) exterior lights/ partial diagram/ shows whole cargo light circuit sorta top/ mid right. Diagrams 2-4) Instrument cluster/ full diagram in 3 screenshots (they overlap). 1st is top/ 2nd is middle/ 3rd is bottom. Ok all the lights came on but the reverse lights don't? And is the tail light supposed to blink instead of the top? I will send a message to another 2carfeller and see if he might come thru with one.